ADELAIDE, Australia–(BUSINESS WIRE)–SolarReserve, a leading worldwide developer of large-scale solar power projects and advanced solar thermal technology, announced it has signed a Memorandum of Understanding (MOU) with Heliostat SA, a South Australian company focused on the manufacture and assembly of heliostats and heliostat components. 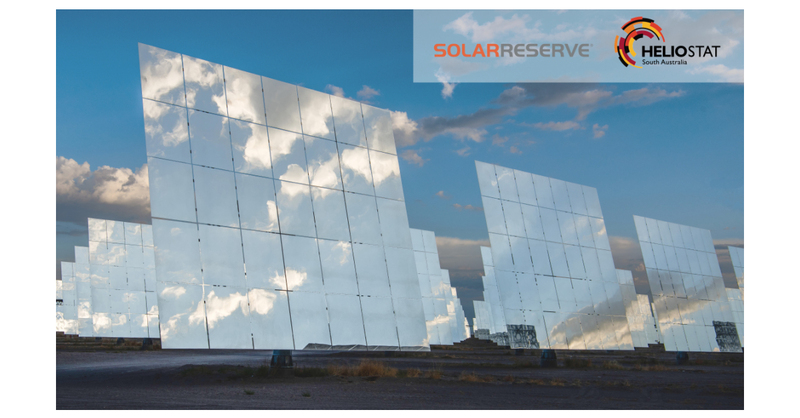 Since the company's formation in early 2008, SolarReserve's experienced team has assembled a pipeline of over 13 gigawatts across the world's most attractive, high growth renewable energy markets. SolarReserve is headquartered in the US and maintains a global presence with six international offices to support widespread project development activities across more than 20 countries. The company has been developing projects in Australia since 2013, with its Australian headquarters located in Adelaide, and field office located in Port Augusta.